The following tutorial assumes you are using Jetbrains IntelliJ IDEA. Please download and install that if you don’t already have it before continuing. 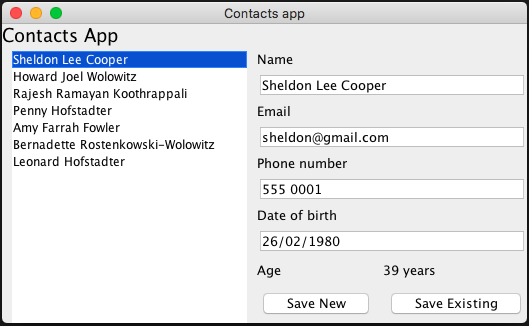 The massive advantage of using a proper Java IDE is that it allows you to create Swing GUI’s via a drag-and-drop interface. It is a lot less hassle than coding it each element in Java individually! Use the drag-and-drop GUI builder to make our screen. Write the Person class we will use as the basis of the data in this project. Program the JFrame to visualise. Program the list to display an entry for each person, and to refresh it’s list when we require it. 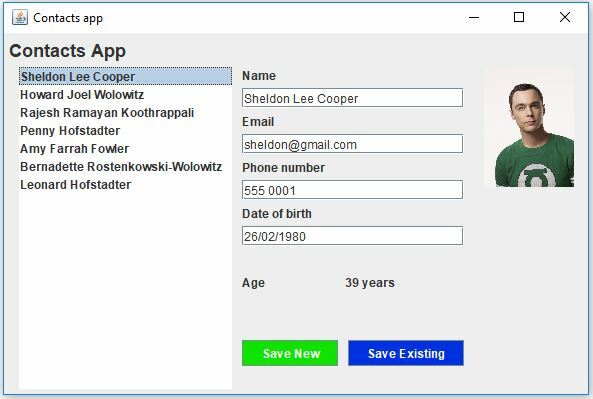 Program the list so that when an item is selected, it populates the respective textFields with information about that person. Program the buttons to save a new person or update an existing one to the people ArrayList. Reorganise some of the code to (hopefully) make it more intuitive for beginner programmers. Here is the JSON data you can save to a file. I suggested at the end of video 7 to attempt to load this data from a data file instead of hard coding it. Refer to my JSON notes for more on this. Here’s a tutorial that’s a helpful tip on how to get started. Turning your completed project into a JAR file makes it distributable!